Makes my life so much easier when I want to sit down and watch some TV. I haven't had cable in over 20 years and stream everything through my Roku box, which is the very first one that came out. It does not have any special features. 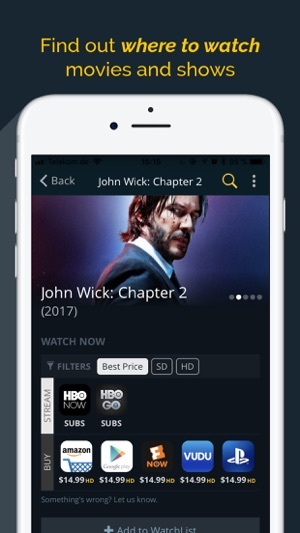 When I have time and want to sit down to watch TV I would have to open each streaming app individually, and search through it. It could take an hour or more to find what I want. Robbing that time from my viewing enjoyment and my life, but not anymore!!! 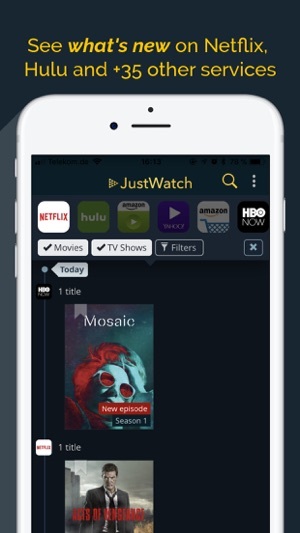 Since I discovered this "Just Watch" app, I can easily find which apps carry the shows I what I want to watch. What used to take an hour or more has been reduced to just minutes. When new episodes or seasons of my shows come out, I can find which platforms are offering them for free, and which ones want my money. 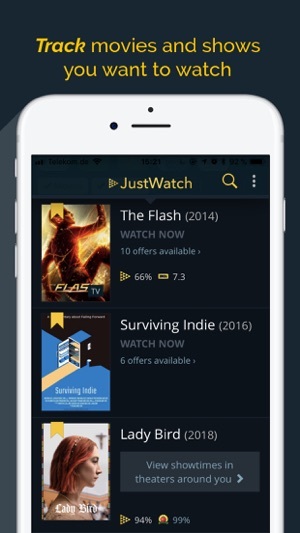 Just Watch is a comprehensive Film and TV guide application that allows you to manage how you want to watch content. 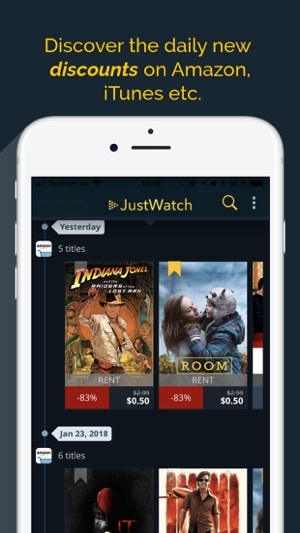 Whether you want to see what’s streaming, available to purchase, discount on a purchase, what’s playing at theatres or just what titles are popular and new Just Watch can help you. Setup is quick and easy as you choose what providers and services you want to provide you with content availability. After that you are free to search and save content to watch later. The design of the app is conducive to all the information that is presented so it is not cluttered and easy to read. 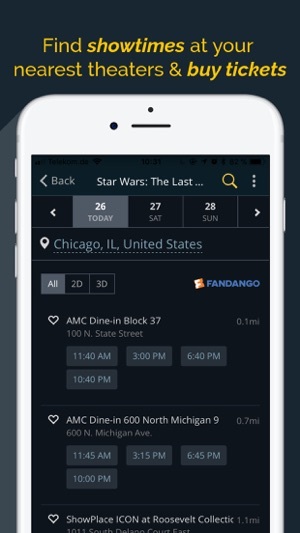 Navigation is done by the bottom tabs that take you to the section that you want. Just Watch works well as a TV guide for the streaming age. I haven’t had cable for decades. I have subscriptions to a number of streaming services, but the roster changes every now and then. We have a Roku TV. If you’re sitting at the TV you can do a fairly comprehensive search of what’s available thru Roku, but this is so much easier. You don’t have to be sitting at the TV, and it’s much better for exploring what’s on services you might not currently be subscribed to. There are a very few good apps that bundle a lot of related functionality, but to my mind of the best apps are ones like this: apps that fill a specific need and do it well.